What is it? Caused by a fungus, Histoplasmosis is the most common disease associated with bird guano. A person can be infected by simply inhaling some of the fungus, which is likely to happen when cleaning bird droppings off a building, or even by prolonged exposure to infested areas. What are the symptoms? Some of the symptoms are fatigue, chest pain and fever. How should it be treated? Symptoms will usually appear 10 days after initial contact and could cause further illness if not treated. Most of the time, this infection goes away without treatment. If you are sick for more than 1 month or are having trouble breathing, your doctor may prescribe medication. What is it? Commonly known as Parrot Fever, Psittacosis is a type of infection that can be transmitted by pigeons, parrots and similar birds. People can become infected and develop the illness by inhaling dried bird droppings. When disturbed, bird droppings’ spores become aerosolized, making it easier for people to become contaminated. What are the symptoms? Fatigue, headache, chills, fever, rash and pneumonia. How should it be treated? Symptoms typically appear 10 days after exposure and the illness is treatable with antibiotics. What is it? Cryptococcosis can also be spread by bird droppings and is known to grow in soil all over the world. If the central nervous system is involved, the infection will often cause death or other permanent damage. What are the symptoms? Those infected report blurred vision, chest pain, fever, nausea and headaches. How should it be treated? Some infections require no treatment. Even so, there should be regular check-ups for a full year to make sure the infection has not spread. A weak or compromised immune system is a major risk factor for infection and even death. Call your health care provider if you develop symptoms of cryptococcosis, especially if you have a weakened immune system. 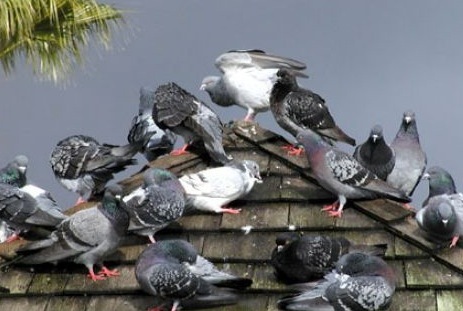 Bird-proofing buildings will reduce the amount of guano on their premises and consequently will lower the risk of people becoming infected by these diseases as well as others. Nice information! I didn’t have any idea about these diseases, thank God you have shared such an informative information with us. I appreciate your effort & so glad that I visit this post. It’s been really great to be here, keep sharing! Excellent post! I know there are lots of chances to get any disease from birds, that’s why I already get the solution of it by consulting bird control service provider.